Roche Holdings AG Basel ADR (OTC: RHHBY) announced FDA approval of its Tecentriq in combination with carboplatin and etoposide (chemotherapy) for the initial treatment of adults with extensive-stage small cell lung cancer. Amphastar Pharmaceuticals Inc (NASDAQ: AMPH) said the FDA approved its Enoxaparin sodium injection 300mg/3mL, multiple dose vial. The newly-approved product, an anticoagulant, was determined by the FDA to be therapeutically equivalent to Lovenox MDV sold in the U.S. by Sanofi SA (NASDAQ: SNY)-Aventis, the company said. 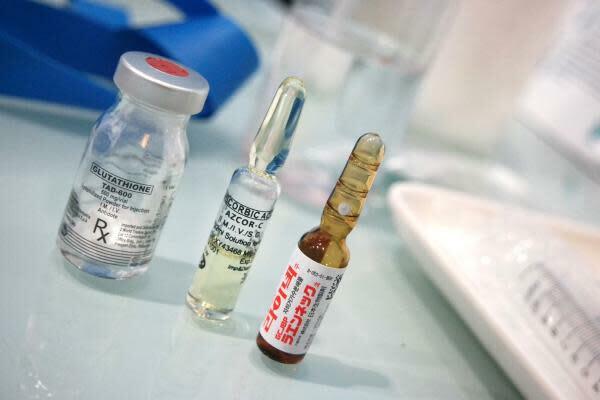 Amphastar currently sells the product in prefilled syringe form, and the current approval of the multiple dose vial allows the company to begin the full offering of Enoxaparin products. The company plans to launch Enoxaparin MDV in the second quarter of 2019. Affimed NV (NASDAQ: AFMD) said it will receive a payment in an undisclosed amount triggered by the achievement of a preclinical milestone under its ongoing collaboration with Genentech, a member of the Roche Group. The company said the payment will enhance its ongoing efforts to develop and commercialize innate cell engager-based therapeutics based on its proprietary Redirected Optimized Cell Killing platform to treat multiple cancers. Affimed shares were rallying 16.84 percent to $4.58 in Tuesday's pre-market trading. Syneos Health Inc (NASDAQ: SYNH) reported fourth-quarter GAAP total revenues of $1.15 billion and adjusted EPS of 95 cents, ahead of 81 cents per share consensus estimate. For 2019, the company expects adjusted service revenues of $4.62 billion to $4.73 billion and adjusted EPS of $3.03-$3.23. The guidance is in line with the consensus. The stock rallied 9.72 percent to $52.03 in after-hours trading. Akebia Therapeutics Inc (NASDAQ: AKBA) announced preliminary results, reporting a decline in its fourth-quarter total revenues from $90.56 million in 2017 to $59.85 million. The company reversed from a profit of $15.523 million to a loss of $88.37 million. The stock fell 6.98 percent to $7.60 in after-hours trading. Catalyst Pharmaceuticals Inc (NASDAQ: CPRX) reported a loss of 14 cents per share compared to the loss of 6 cents per share a year ago and the 12 cents per share consensus estimate. The company reported revenues of $500,000 for the recent fourth quarter. The stock was losing 3.25 percent to $2.98 in Tuesday's pre-market session. Organogenesis Holdings Inc (NASDAQ: ORGO) reported fourth-quarter net revenues of $63.6 million, up 19.7 percent year-over-year growth. The company's net loss per share widened from 7 cents to 12 cents. For 2019, the company forecasts net revenues of $248 million to $259 million. The stock was moving down 4.21 percent to $9.10 in Tuesday's pre-market session. Champions Oncology Inc (NASDAQ: CSBR) reported fiscal-year 2019 third-quarter results, which showed 26 percent year-over-year revenue growth to $6.4 million. On a non-GAAP basis, the company reported break-even results. The company reiterated its 2019 revenue forecast of at least 20 percent growth, while analyst forecast 28.10 percent growth. The stock gained 3.68 percent to $11 in Tuesday's pre-market session. SAGE Therapeutics Inc (NASDAQ: SAGE) and Ligand Pharmaceuticals Inc. (NASDAQ: LGND) await FDA decision on their NDA for Brexanolone in the treatment of postpartum depression. Urovant Sciences Ltd (NASDAQ: UROV) is set to release Phase 3 data for Vibegron that is being evaluated for overreactive bladder.